“Will this incredible descent never end? !” Although I was loving it, my hands were killing me from the pressure on the brake levers. Not far behind me, one of our party had just come a cropper on the rocky switchback resulting in a smashed-up bike and bloodied elbow. A quick peek at the views over Nelson almost resulted in me taking a trip over the handlebars. This was the Coppermine – no chance of a breather. 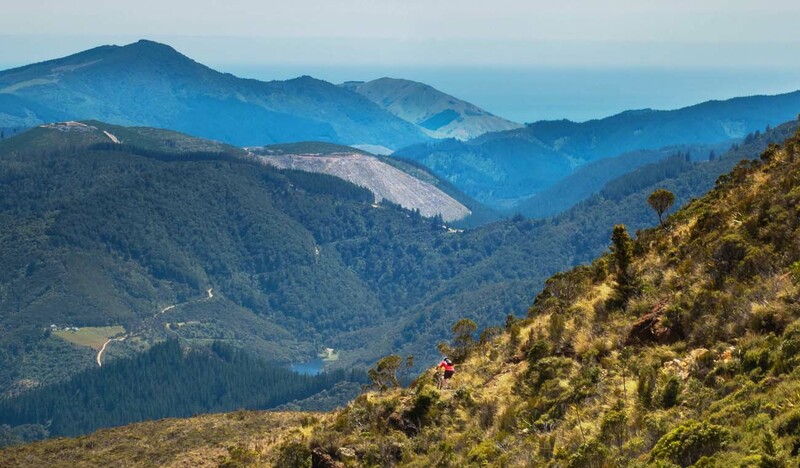 Up there with the very best of NZ’s mountain bike rides, the Coppermine has it all: brutal climbs, super-technical root infested ridges, and, as I was discovering, hair-raising descents. Earlier, we had started the loop at Brook Street being a ten minute ride from the centre of Nelson. The ride is rated at 4 – 5 hours and initially consists of a gentle climb tracing the route of the ancient Dun Mountain Railway. We had also elected to tackle the challenging Fringed Hill / Black Diamond Ridge detour so after a few kilometres we veered left up to the ridgeline. We were then confronted by a climb that was anything but gentle. It’s a real challenge to crest the summit, and there’s no let up as you are immediately battling Grade 5 roots and rocky drop-offs along Black Diamond Ridge. Beginner riders should bypass this section and continue along the old rail track to Junction Saddle. We eventually dispensed with the fearsome ridge and emerged from beech forest into open tussock country. The Richmond Ranges reared up amidst a unique, windswept landscape. 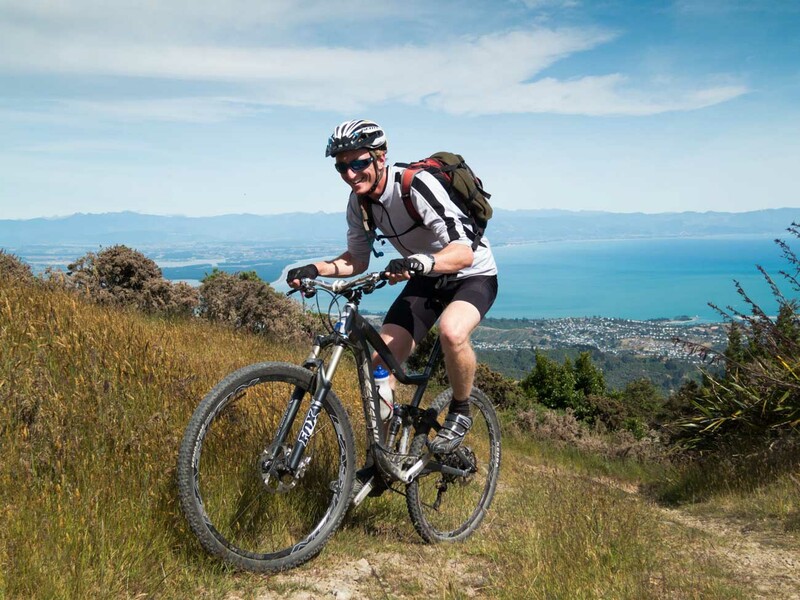 The panorama of Tasman Bay was at our backs and before us loomed the ride’s high point, the 870m Coppermine Saddle. The aforementioned descent, yet to be conquered, snaked down to the Maitai Valley far below. After the descent, slightly battered, we took a break. Damage assessment revealed a bent wheel and brake rotor which forced one of the party to proceed sans front brake. However the tough stuff was now behind us as we enjoyed flowing, high speed singletrack along the valley floor. We flashed by the Maitai Dam and shortly arrived back in town with huge grins on our faces. As the start/finish point is in Nelson, there’s plenty of options for post-ride refreshments and rehashing of the experience. The Coppermine is diverse and accessible although, in parts, remote. We had a balmy summer’s day but the weather can turn in an instant so you should be prepared. 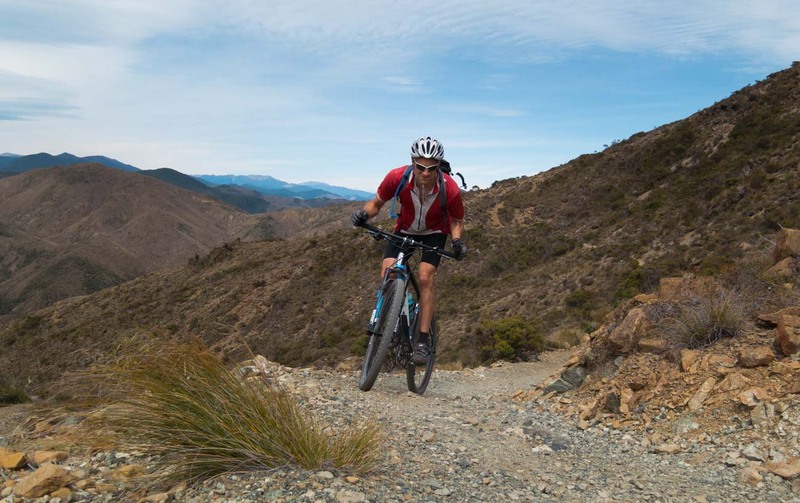 It’s a wonderful trail and a great challenge for those just getting into mountain biking. Just watch out for that descent.